For most travellers Port Douglas is the epicentre of what is known as the Reef and Rainforest Coast of tropical North Queensland. The small coastal town is happily situated adjacent to two World Heritage listed sites, the Great Barrier Reef and the Daintree rainforest. And along the east of the town runs Four Mile Beach, a stunning east facing beach. While Port Douglas is certainly the gateway to so much natural beauty, the town itself scores well in the popularity stakes. The locals, a mere four thousand or so are casual, friendly and down-to-earth. Many locals work directly or indirectly in the hospitality industry, which makes sense as the town grows in population during the peak seasons of May to September. Port Douglas retains the laidback atmosphere of a small seaside town that so many others today have lost. The look and feel of the town itself is classic old-fashioned tropical charm. Port Douglas is also renowned for its great restaurants, lively bars and sophisticated shopping. There are many reasons that have contribute to the town’s popularity with both Australian and international travellers. It enjoys a prime location not just environmentally, but geographically. Port Douglas is approximately an hour’s drive from Cairns, the gateway to tropical North Queensland, and it’s not just any ordinary drive. The road hugs the side of lush mountains on one side, with a view across the Coral Sea on the other; scenery this incredible can be dangerously distracting. 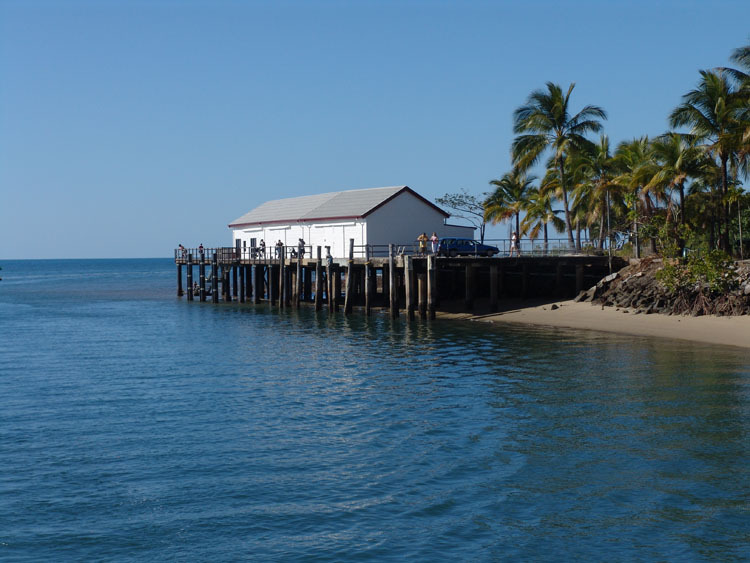 Port Douglas is also renowned as a gateway to the World Heritage listed Great Barrier Reef, with a marina from which guided Great Barrier Reef tours and dive boats depart daily. 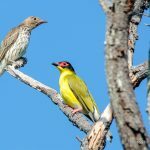 On top of this, the stunning Daintree Rainforest, also on the World Heritage list, and the nearby pristine beaches of Cape Tribulation are all just a short drive away. With so much natural beauty on its doorstep, Port Douglas is the ideal tropical paradise. 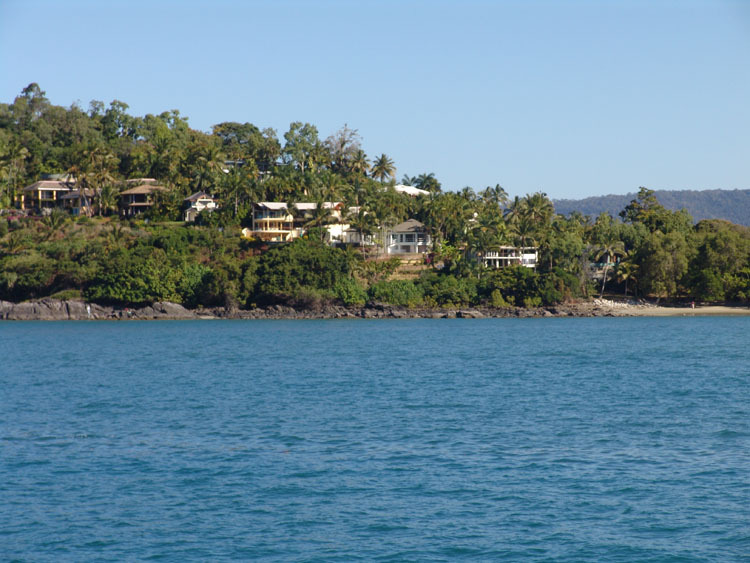 Port Douglas tours are the best way to get an overview of the town and the spectacular surrounding region. There are few places on earth that can boast being bordered by two World Heritage listed sites; however Port Douglas is one of them. Fronted by the incredible Great Barrier Reef and mere kilometres south of the magnificent Daintree Rainforest, Port Douglas couldn’t be more perfectly positioned as a starting location for a tour. The most popular Port Douglas tours are daytrips to The Great Barrier Reef or Daintree Rainforest. Port Douglas has its own marina, with a huge variety of tour operators leaving daily for various reefs a short distance off the coast. Whether it is scuba diving, snorkelling or just sea gazing you’re after, there is a Port Douglas tour operator that will take you out for a day you won’t forget. Catering for divers and snorkelers of all levels of expertise, licensed tours ensure your safety and enjoyment on the incredible Great Barrier Reef. If you would rather stay above the water than get in it, take a tour sailing across the impossibly blue waters of the Coral Sea, seeing reefs visible just beneath the surface and spotting remote coral islands. For the truly adventurous, a helicopter ride out over the Coral Sea is highly recommended, offering a bird’s eye view of the Great Barrier Reef through the crystalline ocean waters. For land lovers, the Daintree is the world’s oldest rainforest with more than 1200 square kilometres, offering hiking trails, swimming spots and scenic lookouts. There are several Daintree tours that offer a variety of ways to experience the rainforest, including the possibility of exploring with a local indigenous guide. Estimated at over 135 millions years old, the Daintree is home to the largest amount of rare and endangered species of plants and animals in the world, providing the ultimate place to hike and explore, while taking in the unique sights and sounds of a tropical rainforest. Other popular Port Douglas tours include riding on horseback along beautiful Four Mile Beach, excursions into the surrounding hinterland and its charming towns trekking and swimming in the refreshing water gorges and crater lakes. In this land, you are as limited as your imagination in the things to do, see and explore in this vastly beautiful region, enjoy! To say there is no shortage of things to do in Port Douglas is an understatement in any language. No other region in the world is bordered by two magnificent World Heritage Listed attractions like Port Douglas is; the Great Barrier Reef and the Daintree National Park. Visitors have been coming to Port Douglas to see, touch and taste what is one of the most beautiful and environmentally enriched destinations on the planet. And at the centre of all this natural beauty is the town of Port Douglas itself. Top of the Port Douglas things to do list is arguably to visit the Great Barrier Reef. You can ‘do the reef’ in many ways, but just do it! The Great Barrier Reef is one of the world’s most spectacular natural wonders with more than 400 species of coral and 1,500 species of fish, sea turtles, dolphins and rays. The variety of tours is endless, and visitors can see the reef from the deck of a boat, diving, through glass bottom boats or snorkelling alongside the fish. The other Port Douglas things to do that you need to check off, is a trip to the Daintree National Park. Home to more species of plants and animals than any other place on earth and Australia’s largest tropical rainforest, the Daintree National Park has several types of day trips on offer. One of the more popular is a tour led by indigenous aboriginals that has visitors sliding in the mud of mango swamps and learning survival skills including how to catch their own seaside dinner. 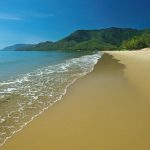 Without having to travel, Four Mile Beach with its turquoise waters and wide sandy beaches is postcard beautiful and one of the region’s favourites and located right on the border of the town of Port Douglas. The waves are gentle and family-friendly, while the strong winter Trade Winds make it popular with kite surfers from June to August. To take all the natural beauty in, take a trip up to Flagstaff Hill, which offers an amazing view of the entire region. You can make the climb by foot as it’s quite gentle or, alternatively, by car. Several other options also include not even having to leave the town itself. You can visit one of the friendliest local markets on a Sunday, located right on the waterfront in an historic park. Other Port Douglas things to do include shopping and visiting galleries in the main shopping precincts the Wharf and Macrossan Street. To keep all that energy going, there is an extraordinarily good choice of restaurants and cafes in and around the town. The stunning Ospreys Restaurant at Thala Beach Nature Reserve, is a must-do experience, especially for foodies. Imaginative, local and seasonal modern Australian cuisine served in a magnificent environment will impress even the most discerning diner. Restaurants are one of the key ingredients to making the boutique seaside town of Port Douglas the ultimate holiday destination. The dining choices on offer reflect the diversity of the destination, with everything from sumptuous five star restaurants to casual cafes and friendly local bars. In this way, Port Douglas restaurants cater to every kind of traveller and all budgets. Thala Beach Nature Reserve’s Osprey’s Restaurant is considered a destination in itself. One of the most renowned is the world-class Nautilus Restaurant. Accessed by a secluded pathway from the main street, the beautiful palm tree canopied restaurant creates a unique outdoor dining experience to accompany its five star food and service. Flames of the Forest is Australia’s only rainforest dining experience. A short distance from Port Douglas, Flames of the Forest transports diners into a world beyond imagination – a relaxing and soul- uplifting dining experience offering a feast for the senses. The Salsa Bar and Grill is also one of the most well-known Port Douglas restaurants, set in a traditional weatherboard Queenslander with great local food with an emphasis on seafood. For those who want to get out of town, the views from Osprey’s Restaurant Port Douglas at Thala Beach Nature Reserve are spectacularly panoramic, looking over the surrounding forest beyond to the Coral Sea. Enjoy the view of the sun setting while dining on creative, seasonal modern Australian cuisine with friendly five star service and complimentary valet parking. 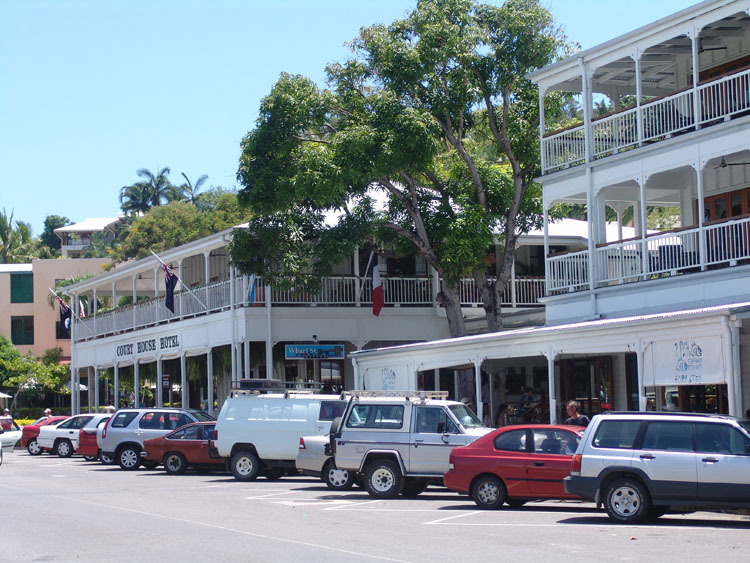 The quality of Port Douglas shopping is a delight to visitors. With just one main street, it is a surprise to find that Port Douglas offers an eclectic mix of high end fashion boutiques, art galleries, hole-in-the-wall stores selling local handicrafts and shop fronts glittering with exquisite jewellery. While some Port Douglas shopping is clearly aimed at tourists, the bulk of what is on offer is an eclectic mix of stylish wares you won’t be able to resist. There is always some excuse to shop when you are on holiday, whether it is to replace something left behind, that need to take home a little reminder of the place you are visiting or just to treat yourself. In smaller towns, it is also a great way to get a genuine feel for the place. Port Douglas shopping necessitates meeting locals and exploring the main street’s many nooks and crannies. The more sophisticated Port Douglas shopping trail takes you to boutiques such as Barbarella and Swan & Tript. Both these stores are located in the smart Portico Shopping Centre that runs across Macrossan Street, just 100 metres from the golden sands of Four Mile beach. For more casual clothing the Port Shopping Centre has Just Jeans, Target and Natural Clothing. This central shopping centre is also home to a well-stocked supermarket, a newsagency, pharmacy and all the conveniences you need from a holiday hub like Port Douglas. Port Douglas shopping also extends to the wharf, which is known as Crystalbrook Superyacht Marina. Shops are stocked with everything you will need to have a safe and enjoyable day on the water, including surf and dive shops alongside its art, clothing, jewellery and souvenir stores. The absolute Port Douglas shopping experience is undoubtedly the renowned Port Douglas Sunday Markets. Operating for over 20 years in the small seaside village, the markets have the friendly, relaxed vibe that markets should, with affordable wares, delicious foods and colourful locals. With over 100 stalls selling everything from homemade children’s clothing to fine art, it’s a memorable part of the Port Douglas experience. Port Douglas history is fascinating; it is a series of booms busts and some more booms. 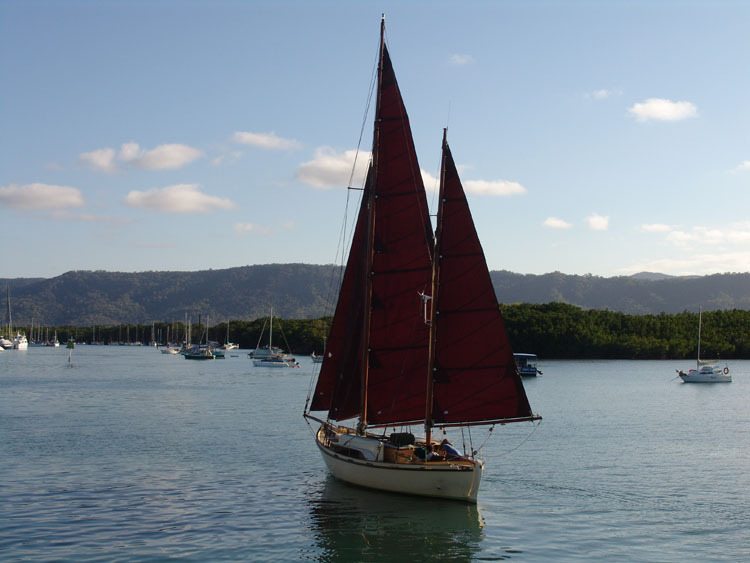 Like many parts of this country, the first real boom for white settlers was triggered by the discovery of gold, which for Port Douglas was in 1876 on the Hodgkinson River. The following year a track was carved through the rainforest down to what is today the town centre. Later that same year, the Colonial Treasurer, the Hon J.R. Dickson and the Queensland Parliamentarian John Macrossan visited and confirmed the town and agreed to name the town after the current Premier of Queensland, John Douglas and the inlet was to be called Dickson Inlet. Within months banks and government offices were established along with a courthouse and a lighthouse. By 1882, there were 14 hotels in town and for a while. Port Douglas overtook Cairns as a working port. In a few years time however Cairns had a link to the rail line and Port Douglas was in decline. While Port Douglas history is marred by declines of the day, it was not atypical, times – and towns changed rapidly then. The gold was no longer plentiful; landowners turned to cattle, but these were soon decimated by ticks. Farmers then developed sugar cane fields and once again the town grew, even to the point of building a sugar mill at Mossman and a small rail line to carry the sugar, freight and passengers. The hotel count was back to four saved by the sweet gold of sugar. Then in 1911 a cyclone hit the town. Sixteen inches fell in 24 hours, two people were killed and many houses were destroyed or damaged, some never to be rebuilt. By 1920 the business centre was moving to Mossman to be near the sugar mill. And still, Port Douglas history was yet to endure more twists and turns. When the Cook Highway along the coast between Cairns and Mossman was opened in 1933, Port Douglas was bypassed and the last time sugar was railed to Port Douglas was in 1958. After that, it went by road to Cairns. Port Douglas reverted to a sleepy fishing village and by 1960; its population was around 100 and the school was closed. The Great Barrier Reef worked her magic, and slowly attracted tourists. 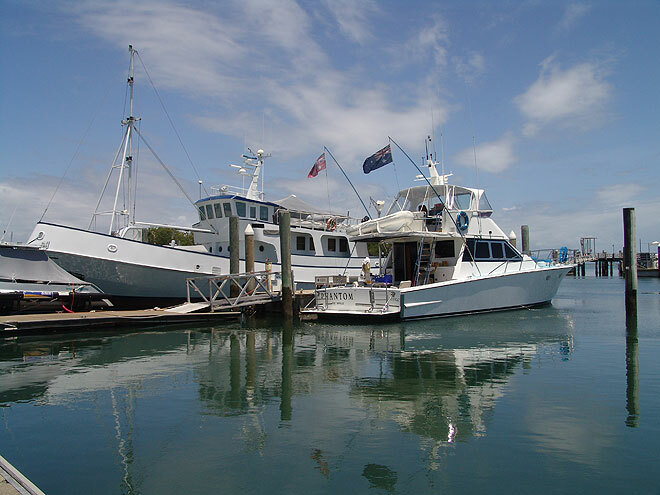 Quicksilver began the first daily cruise to the Outer Barrier Reef in 1982 and two years later, their first mooring platform was anchored at Agincourt Reef. In that same year, 1984, Cairns International Airport was opened, an obvious boon to the entire region and then in 1987, The Sheraton Mirage resort, developed by Christopher Skase, was officially opened. The rest they say is history – Port Douglas History. Inspired by two World Heritage listed sites, Port Douglas art is a reflection of the extraordinary surrounds. The region around Port Douglas is famous for its beauty, including the World Heritage listed Great Barrier Reef and Daintree Rainforest. This environmental splendour acts as inspiration, like a natural muse, for all persuasions of artists. Port Douglas art extends through a plethora of mediums including oils, watercolour, photography and sculpture. Inspired by the surroundings of the Daintree and Great Barrier Reef the majority of works are landscapes in natural hues, but also find many contemporary arts that use bright colours and abstract representations of both local people and wildlife. There is also a burgeoning indigenous art scene with local artists from the area specialising in contemporary and traditional Indigenous art. For accessible and affordable art, the Port Douglas Art and Craft Markets are on every Sunday at Anzac Park on the waterfront, overlooking the sea. The markets are a wonderful place to nurture local, up and coming artists by purchasing unique art and crafts, jewellery, pottery and local souvenirs to enjoy and appreciate for years.